A sensible and duly followed budget plan can be the difference between a successful event and one that flounders in financial chaos. 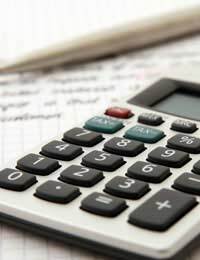 The budget is one of the most important aspects of any event organisation. For any event to work it must be economically sound; the costs for putting it on must be balanced by the money coming in. If it isn’t then the organisers will be left with a hefty bill to pay, a lot of disgruntled contributors and a scarring from the whole experience. The budget plan is founded on what funds are available. It therefore has a strong say in what the event is, what attractions it includes and where it takes place. You may be able to do what you want and put on a lavish show, if you have an equally lavish budget, but if your funds are very limited then you need to make sure your plans operate within its limits. Right at the start of any event organisation, budgetary concerns must play a decisive role. Otherwise time could be wasted in drawing up a proposal that is ultimately too costly to run. Even though you might not have a clear idea of what funds are available at that time, it is vital to gauge an estimate of the total costs involved. From this you will see whether the event is financially viable, and which areas should be modified or cut out altogether. When choosing these aspects always make sure that they are suitable to not only your budgetary requirements but also your audience. Would a finer and more expensive catering service be a necessity, and greatly enhance the experience of your attendees, or would it just be a needless waste of money? If you are organising a charity event then be sure to check whether any services offer any special reductions. To begin your budget plan you should firstly chart the event’s income – expected and already available funds – and its expenses. This will enable you to clearly see whether you are ‘on budget’ or need to plan for cost cutting or fund raising. There are various spreadsheets available on the internet to help make the job of bookkeeping as easy as possible. Whether there is sufficient cash flow throughout the event organisation, should also be a prime consideration. It is all well and good to be expecting a large sum of money at a future date, but when invoices for people and equipment appear, can they be paid on time? Your event might be a free event founded on community spirit, but this attitude doesn’t necessarily extend to everyone involved; many contributors will just be doing their job and trying to earn a living. Whilst the planning is progressing you need to keep detailed records of everything you have paid for and when, and make sure to keep copies of receipts and invoices safely filed. Sales – You could make your event an all paying one, first and foremost by selling entrance tickets, but also by selling programmes, drinks and food. Sponsorship – Businesses could be approached to see if they’d be willing to sponsor your event. Advertising – You could offer businesses the opportunity to advertise at your event, such as in the programme. Prize Games – Raffles, tombolas are popular event features and also a good way to raise cash. To save the cost of the prizes themselves, you could ask people and businesses to donate them.